Ninety-eight thousand square feet is a lot of space. Luckily, Kenny Rabalais has a use for every inch. Rabalais’ home and garden business, The Plant Gallery, paints a long swath of green along Airline Highway (at Live Oak Drive, not far from New Orleans Country Club). From tiny succulents to towering palms, plants fill the property. Along with landscaping services, plant rental, garden maintenance and an on-site florist, The Plant Gallery includes a boutique with furniture, lighting, and home and patio accoutrements. 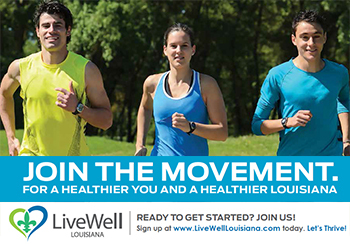 Instead of simply fulfilling disparate needs for customers, says Rabalais, the business’ approach has become more lifestyle-oriented. “It keeps me attuned to how people entertain and spend their downtime,” he says. Having run The Plant Gallery for 23 years, Rabalais is well in sync with cultural currents. During the last few years, he’s noticed a trend toward creating more outdoor rooms as opposed to simple patios. “People don’t want to just look out their window and say, ‘Oh, I have a pretty yard,’” he says. “They want to go outside, and sit and relax.” And to relax in style, clients might need, say, outdoor furniture, decorative planters, scented candles or even a chandelier. Rabalais, who grew up in Chalmette, capitalized on his interest in nature in high school, starting a lawn business and eventually employing friends to share the work through college. “That kind of led me to the plant world, and I just never got out of it,” he says. After earning a dual degree in management and marketing from Southeastern University, Rabalais opened The Plant Gallery’s first location in the French Quarter with his wife, Jennifer, in 1991. Seven years later, the couple knew it was time to expand. They opened The Plant Gallery’s current Airline Highway location and began offering a larger inventory of home and garden items. Rabalais notes that the facility’s generous space allows him to supply customers with what they’re looking for when they come to the store, instead of having to special-order items. “When people want stuff, they want it right now,” he observes. Two years ago, Jennifer opened JADE, her own home furnishing and interior decor store off Metairie Road; like their owners, the businesses are “married together,” says Rabalais. He points out that often, someone in the market for a new landscape is also looking to redecorate the inside of their home. Rabalais has begun the process of rebranding the business from “The Plant Gallery” to “TPG,” a move he hopes will let clients know that the store is much more than a plant nursery. 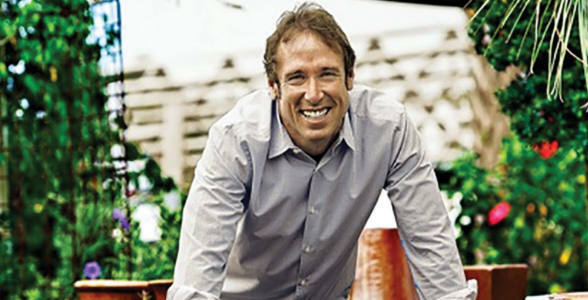 His goal is to make TPG known as a one-stop shop for all things plant- and landscape-related; to that end, the business retains more than 60 employees, including designers, landscape architects, florists and maintenance workers. With the help of his team, Rabalais often works in phases, describing each project addition as a “puzzle piece.” Every project begins and ends with the client’s desires, and Rabalais takes a creative approach to problem solving. “As long as the overall look is right, that’s what we’re going for,” he says. next Focal Point: St. Charles Vision is more than meets the eye.